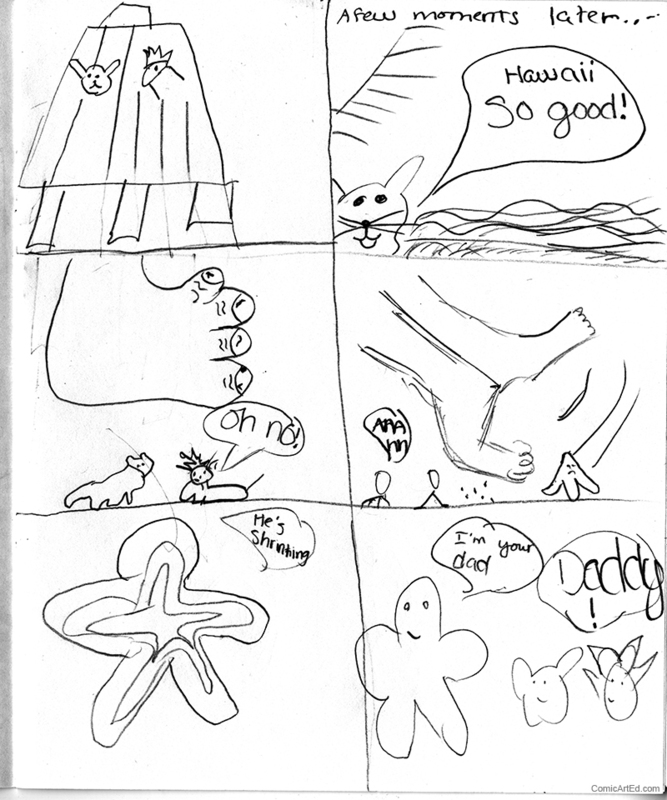 Student Work - 6-Panel Stories at Comics Club — Comic Art Ed! 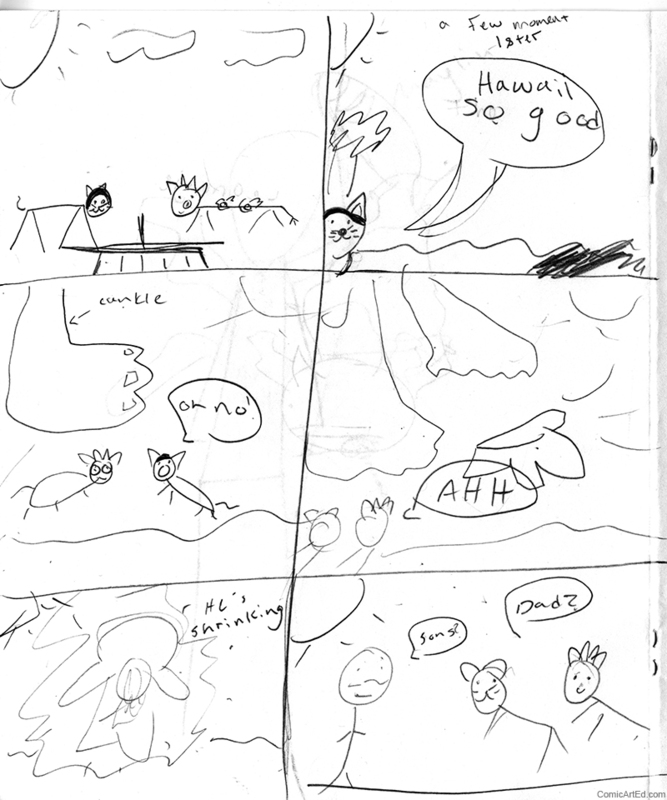 At a local middle school, I had the pleasure of teaching a 5-week after school comics club in the months of May - June 2018. Below you'll see one of the many projects we did together! 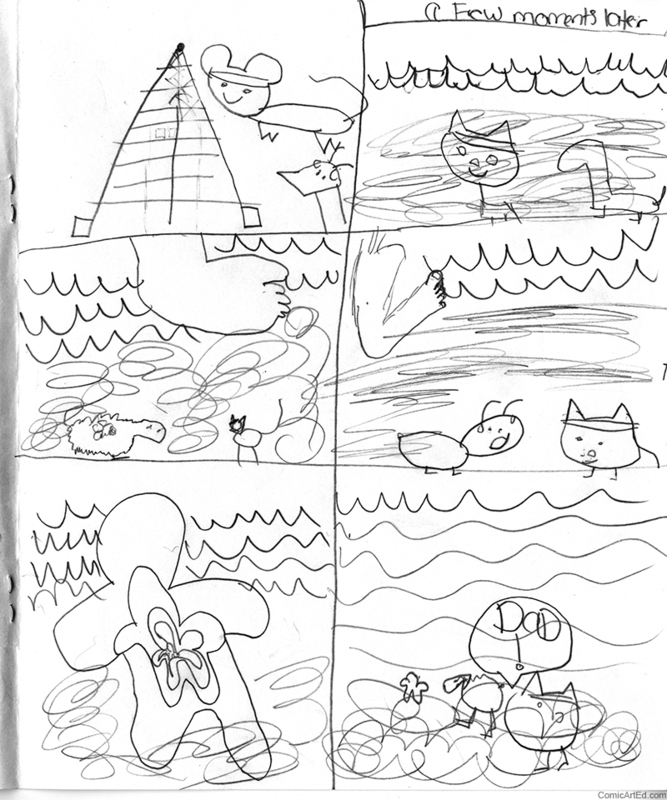 In this activity, students each have the opportunity to contribute to a 6-panel comic story. Characters. Since this club had 13 students, we first went around and developed the 2 characters who will star in the comic. This way everyone has a chance to contribute. I wrote the character stats on the white board so everyone could follow along, but students got to choose their own interpretations of the character design. In this story, we had a tiger and a cow. Story. One student began on the prompt, "Where are our characters?" This student chose the Eiffel Tower! We meet our two characters, a tiger and a cow, on top of the Eiffel Tower. They are mysteriously transported to Hawaii. A giant almost steps on them. The giant misses, and accidentally slips on a banana that was on the beach. The giant begins to shrink. The characters discover that the giant was their dad all along! Everyone draws the story together. Students follow along as a class, but everyone gets to draw their own version. It's a fun way to be collaborative, and get the creative juices going as a group, making writing individual stories less daunting.